Since it’s Sunday, I thought it would be nice to have another John Thornton graphic. As a reminder, there is going to be a worldwide group watch of North & South starting June 1 and details can be found here: N&S Group Watch. Today’s image and song recommendations come to us courtesy of Kathleen. Thank you so much for your contributions, Kathleen! Using the window theme, I decided to make a bit of a storyboard siggie. 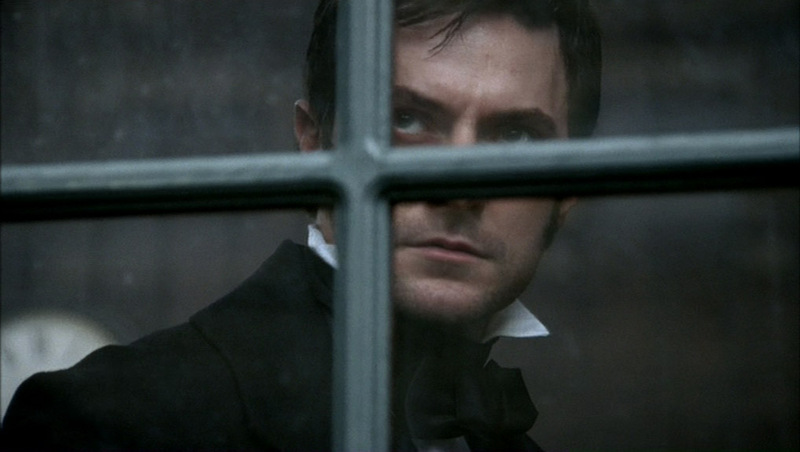 When I watch North & South, I notice how often characters stand in front of windows. Using the Clone tool, I removed Mrs. Thornton. With the Match Color command, I did some color correcting. The word “Reflections” was written in the ChopinScript font. I then duplicated the text layer, rasterized it, rotated and blurred it so it would appear as if it was reflecting on the glass. You may have noticed I also added the curtains to each of the four panes to give the graphic continuity. Thanks for all your input and I’ll see you tomorrow. This entry was posted in Collaborative Project, Graphics, richard armitage and tagged actor, graphic a day in may, graphics, john thornton, mad about you, north & south, richard armitage, richardarmitagenet, richardarmitagenet.com, richardarmitagenetdotcom, sting. Bookmark the permalink. Beautifully done siggie. I like the whole effect. Much as I hate to admit this, I haven’t seen North and South yet. I just bought it on DVD, but haven’t had the chance to sit down and watch it yet. I plan to rectify that today. This is terrific, Bcc! What a great representation of John’s moods in one graphic. Thanks so much for all of your work but this one is really special. I dig it, I dig it, I dig it!!! Hey. How do I download it? Is it a copy and paste or do you have a link to photobucket for your sigs? I’d love to use this as an email signature for my personal notes to friends. @lovemrthornton: If you right-click the image, a popout menu will appear. Then you can select “Save image as” or “Save picture as” to save it to your hard drive. After that, you can put it in your email signature or upload it to your own photobucket account. 🙂 Glad you like it, thanks! Easy peasy, thanks! I’m accustomed to having to go to “Photobucket,” from my past experiences with siggy creators on cafemom.com. Thanks for making it so easy. This is wonderful. 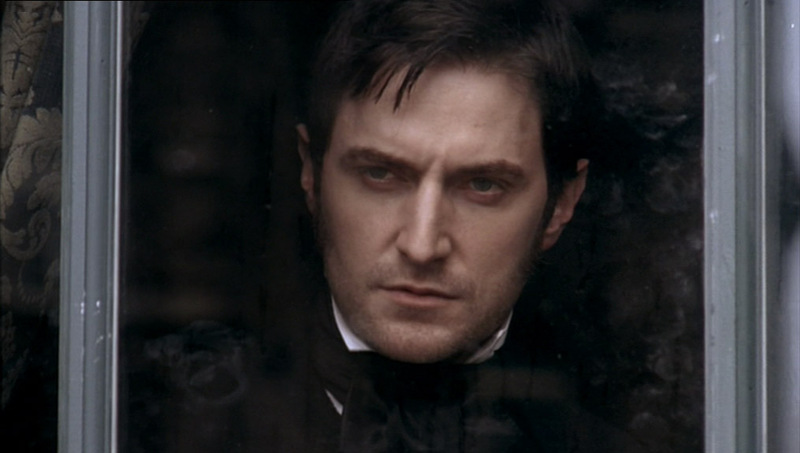 I love John Thornton. Who doesn’t, right! Well done, Bccmee! My day’s better because of your siggie! 🙂 Answering your question, I’d try to be the best daughter-in-law I could be since John loves his mother and has a lot of respect for her. Have a great week everyone!!! Stunning graphics, Bccmee! Love it! So clever and so beautifully done. Stunning graphic B. Big thanks from me making May a RA month!! Team Day 20 gives us John Thornton – awwww, bless his extra large cotton socks. I think Frederick should find Mrs Thornton a nice bungalow in Spain for her retirement years. Excellent choice, Kathleen. Bccmee, one of your best! A very lovely siggie of our man Thornton! Thank you! This is beautiful. Fabulous result bcc and kathleen! Another great sig today. It really is beautiful and great choice of pic (and music) Kathleen. And Mrs T the elder? Goodness what a dilemma! @Everyone: Hope you’re going to join the N&S group watch whether it will be your 1st time or your 100th! I think I’ve seen it about 4 times so it’s still pretty fresh. 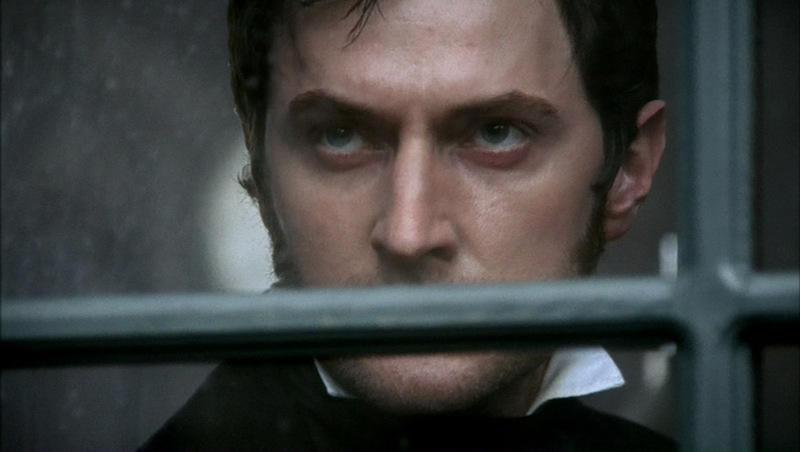 John Thornton really does convey an intensity! Great ideas for how to handle the mother-in-law situation! “Kill her with kindness,” let JT back up his wife, be the best daughter-in-law ever, buy her a trip around the world, or ship her off to Spain with Frederick are some possibilities. Having lots of babies is an interesting strategy, LOL! Thanks again for all your thoughtful and kind comments!